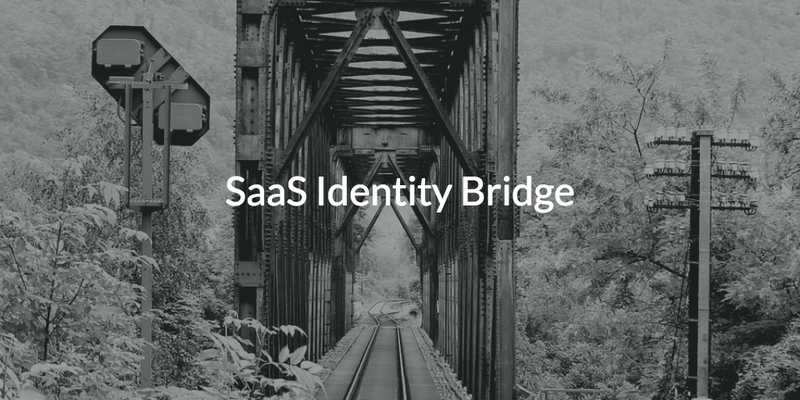 What is a SaaS identity bridge? What is an identity bridge in the first place and can a cloud identity bridge exist? These are good questions and increasingly important ones for IT. As IT admins start to delve deeper into the world of identity management, there are a number of core questions about what is happening in the IAM (identity and access management) sector. The identity management market has traditionally been a pretty sleepy market. For many years the only solution that was really talked about was the core directory services solution, Microsoft Active Directory®. Then with the changes in the IT landscape, web application single sign-on became a hot topic. Now, with the continued changes in the IT network, a new generation of solutions called cloud or SaaS identity bridges are bubbling to the top of the stack. Let’s step back and understand what is going on in the IAM world. Over 20 years ago, the modern era of identity management kicked off with the introduction of the authentication protocol, LDAP. This led to two major IAM solutions, OpenLDAP became the open source version and Microsoft AD led the charge on the commercial side. Ultimately the identity management market narrowed as AD became the monopoly in the space. For a while, on-prem, Microsoft resources dominated the workplace which made Active Directory a natural choice for a directory service. A few years later, non-Microsoft resources started dotting the IT landscape and it became apparent that Active Directory only played well in predominantly Windows based, on-prem environments. Most of the changes that altered the IT landscape involved moving away from Windows and on-prem situations. Cloud infrastructure, web applications, virtual storage, mixed platform environments (Mac and Linux), and mobile / WiFi situations all became a core part of how the modern IT organization operated. The challenge was that many IT organizations had already invested in Active Directory. 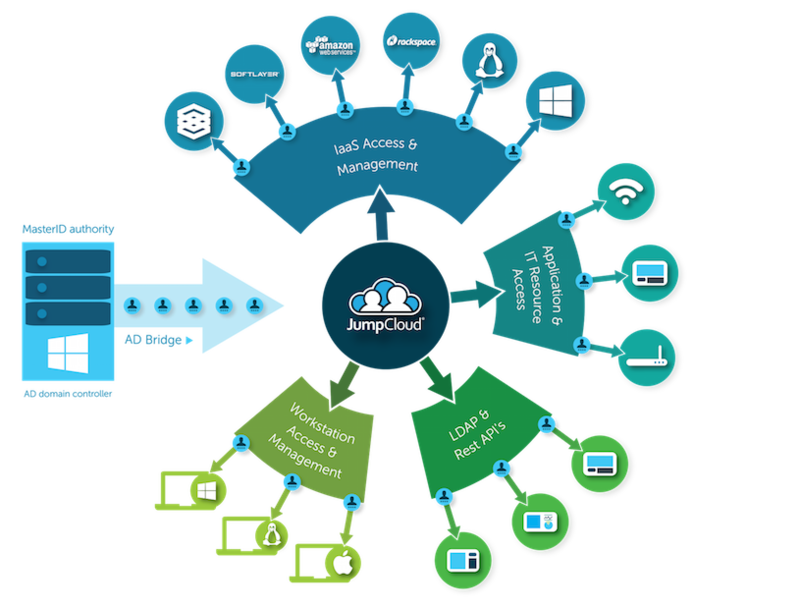 So, how could their existing identity provider connect users to these modern IT solutions in the cloud. The answer is a SaaS identity bridge. Leveraging core, authoritative credentials within AD, an IT organization can federate user identities to a cloud hosted directory service via a cloud identity bridge. Once credentials are within the SaaS identity provider, they can be further federated to Mac, Linux and Windows systems not bound to AD, cloud and on-prem servers (e.g. AWS, Google Cloud Platform, etc. ), physical and virtual storage (Samba file servers, NAS devices, Box, Dropbox, and more), web and on-prem applications via LDAP or SAML, cloud productivity tools like O365 and G Suite, and wired and WiFi networks via RADIUS. The benefit for IT organizations is that they can maintain their existing Active Directory instance, but extend those identities to connect with whatever IT resources their users need virtually regardless of platform, protocol, provider, and location. For more information on using our SaaS identity bridge with Active Directory, consider watching the video below to better understand the architecture of the AD Bridge. You are also more than welcome to reach out to us if you have any questions or would like more information. If you’re ready to explore our cloud identity bridge platform, we encourage you to sign up for a free account. All of our feature are available, and your first ten users are free forever.